Artificial Grass in Roseville, Placer County, California & Beyond. You want your lawn to look its best all year long. You also want to reduce your bills and spend less time on yard work. Those are just a few reasons to make the switch to artificial grass in Roseville, CA. At Watersavers Turf, we can help. We carry a wide range of turf styles, as well as tools to help you install and maintain it. Whether you own a home or business, with our artificial grass in Roseville, CA, (Placer County), you’ll get a low-cost lawn that always looks green and vibrant. Buy from us, and we’ll even refer a contractor who installs artificial grass in Roseville, CA. Saving money is one of the key benefits of fake grass in Roseville, CA. A live grass lawn needs to be watered constantly. That results in high bills. Factor in lawn care, and you need to invest a lot of time and money just to keep your lawn looking presentable. One of the main benefits of fake grass in Roseville, CA, is the fact that it requires almost no upkeep. Aside from raking/brooming and washing it clean now and then, there’s almost nothing you need to do to maintain your lawn. To learn even more about the benefits of fake grass in Roseville, CA, take a look at our Annual Cost Savings Chart. Property owners who replace their lawns with our turf can save as much as $2,000 each year. They also use less water—30,000 gallons less in many cases. That’s good for your budget, and good for the planet too. Watersavers Turf offers special benefits for lawn replacement in Roseville, CA and beyond, making us the go-to supplier for any plastic grass project. If you’re putting in a new lawn replacement, you want the surface to be durable and safe. That’s why our turf goes through a rigorous testing process before we offer it. Our products are certified non-toxic and lead-free. They resist both fire and UV rays. They even designed them to meet FIFA standards. With our lawn replacement turf, you’ll get the kind of yard that stays in great shape for years. To prove we stand by our products, we offer an 18-year residential use warranty (10 years commercial use). No other supplier in the region has that kind of offer. At our SF Bay Area locations, our helpful staff will gladly discuss your project. We carry more than 40 different styles of turf, and our team will help you find out which is best for your needs. You can even take home free large 1’ x 1’ turf samples. No worries if you’re unable to make it to us. We’re happy to ship our samples to any destination in the Continental United States. For contractors, we don’t even charge shipping costs. Contractors play a major role in what we do. We know that quality turf isn’t useful without someone to install it. That’s why we offer free classes to contractors that want to learn how to install our turf. If you’re a contractor, this is a very smart business to get into. Check the class schedule to find the next session you can attend. Questions? You can call us toll-free at 844-974-8873. We’re also available to chat online. Through our website, you can even get a free estimate for your project. There are more uses for residential artificial grass in Roseville, California than we could list here. That’s because people keep finding new, unique ways to install residential artificial grass. We cover them in our blogs and newsletters. They’re a great resource for coming up with ideas of your own. 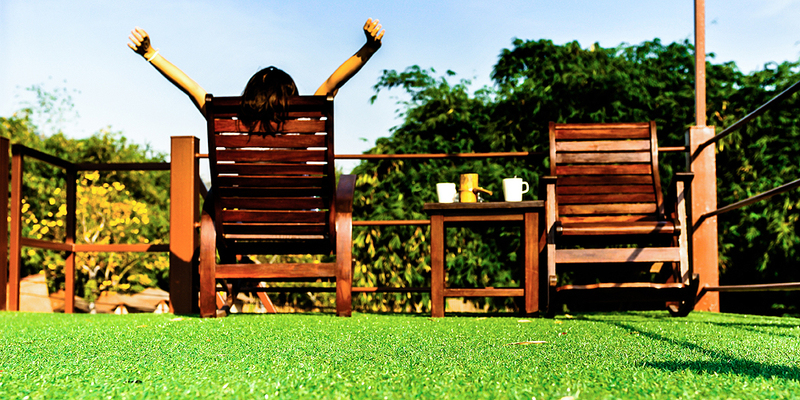 Our residential artificial grass isn’t just for replacing your lawn, after all. For instance, maybe you like to golf. Wouldn’t it be great to have your own backyard putting green? With our products, you can. We even sell the golf flags you’ll need to make it truly authentic. Do you have a backyard garden you’d like to show off? Install a walkway with our turf, and guests will have a clear path to follow through your garden. Best of all, unlike real grass, our products won’t use up the water and nutrients your plants need. Our turf is also useful for families with kids. If your children like to play in the backyard, you may be worried about them getting hurt in a fall. Now you don’t have to. You can install lawn pads beneath our turf to help protect your kids from hard falls. 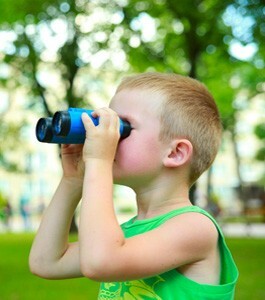 No matter what type of yard you want, our products help you realize your vision. It’s hard to indulge your inner landscape artist with live grass. It needs constant upkeep. Rain can ruin it overnight. So can a drought. If you want the lawn of your dreams, you need a surface that stays in perfect shape all the time. That’s what we can give you. It doesn’t matter what kind of business you run; you’ll find plenty of uses for commercial synthetic grass in Roseville, California. Like our residential turf, our commercial synthetic grass doesn’t need to be fertilized, reseeded, watered, or mown. This helps you save a lot of money over the course of a year. You could use those funds to build up another department or invest in more advertising. Best of all, our commercial synthetic grass helps you impress guests and clients. People judge books by their covers. It’s simply our nature. Your business needs curb appeal to attract customers. If people see that your lawn is unkempt, they won’t see you as a professional. This drives guests away and makes the wrong impression on clients. You’re better off with a surface that always looks bright and inviting. In an office setting adding a green space makes your business look more professional. It also gives your workers a place to relax during their breaks. 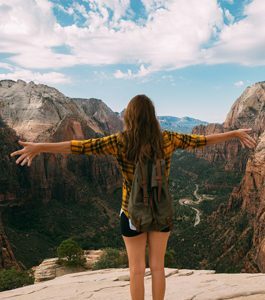 Studies show that spending time in nature makes people calmer and more focused. In fact, it doesn’t even have to be real nature. Fake greenery is just as effective. An office isn’t the only place where this type of surface is useful. At restaurants, it adds color to outdoor areas. Hotel and resort owners also use it for this purpose. For outdoor malls, it allows owners to install pathways, directing customers to points of interest. It’s even useful at outdoor music venues; owners can expand their lawn seating with it. No matter what line of work you’re in, with one of our lawns, you’ll save money and grow your business. Everyone from dog lovers to school boards finds great uses for artificial sports turf and pet grass in Roseville, CA. Grass lawns are far from ideal for athletes and pet owners. 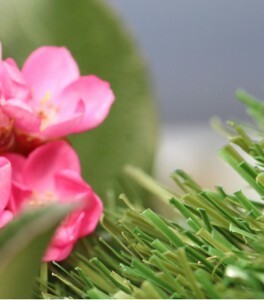 Our artificial sports turf and pet grass is designed to stand up to wear and tear. Artificial sports turf protects athletes, while pet grass protects your lawn. Live grass doesn’t make for a reliable playing surface. Rain makes it too messy. Damage from game play often makes it uneven. This puts players at greater risk of injury. On top of that, many school districts can’t afford to maintain a live grass field. By switching to an artificial option, they’re able to preserve their sports programs. These new fields stay flat, so players are safe. They also dry quickly. That means fewer games are canceled due to rain. 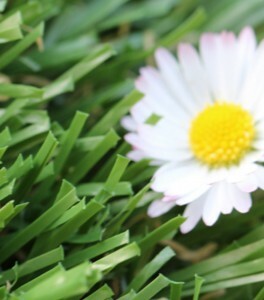 Pet owners also benefit from switching to a different type of surface for their lawns. Dogs need to stay fit, just like people. That means letting them run around out in the yard. Any dog owner knows that pets running around can do a lot of harm to your lawn. Dogs also tend to track mud and dirt back into the house. To keep your yard looking its best, install a synthetic dog run instead. Your little buddy gets a safe area to play in; you get a clean house and lawn. These types of dog runs are also ideal for kennel owners looking to grow their business. They’re a low-cost way to attract more clients. We make it easy to find turf tools and turf accessories for Roseville, California. We carry products that will make your lawn smell like freshly-mown grass. We even carry boxwood panels for your exterior walls. Golf anyone? Watersavers Turf has the golf cups and golf flags you need. To see what else we have to offer, check our full catalogue. Delivery is free in the SF Bay Area. That said, we also ship to any city in the state. Finding things to do within Roseville, CA is always easy. The city is one of the region’s premier shopping destinations. You could spend hours browsing its shops, and you wouldn’t even be close to seeing them all. City leaders are looking to offer more things to do within Roseville, CA by restoring historic areas. They’ll also be adding more trails for bike-riding and walks. 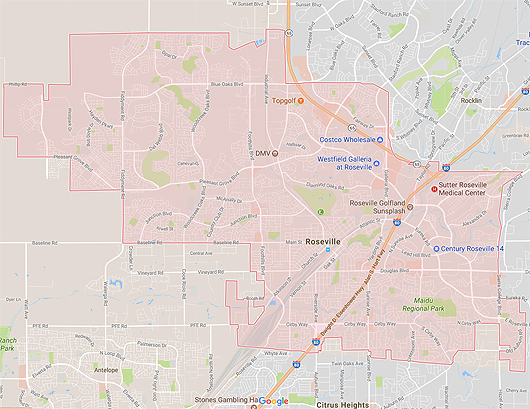 No matter how you like to spend your time, you’ll find things to do within Roseville, CA. Make sure you stop by a Watersavers Turf location during your visit to the SF Bay Area. We can help you start planning your project. No worries if you’re not going to be in our area anytime soon. You can always call us toll-free at 844-974-8873 with your questions. Be sure to ask us about our free delivery offers, estimates, and samples. We’ll make sure you get the best possible service every step of the way.